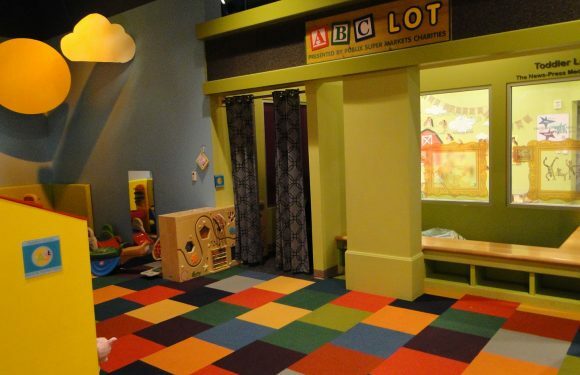 The ABC Toddler Lot is a gated area dedicated to children from infancy to three years of age. 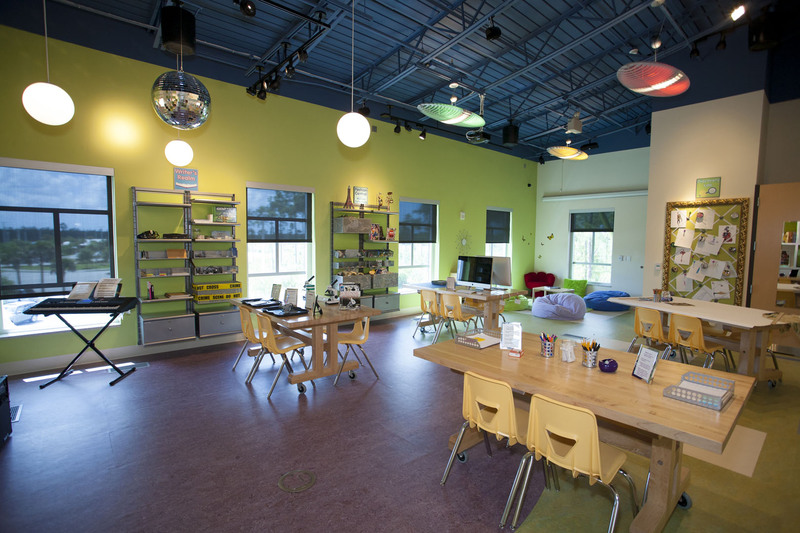 The tree-top Adopt-A-Pet veterinary clinic gives children an opportunity for career exploration. 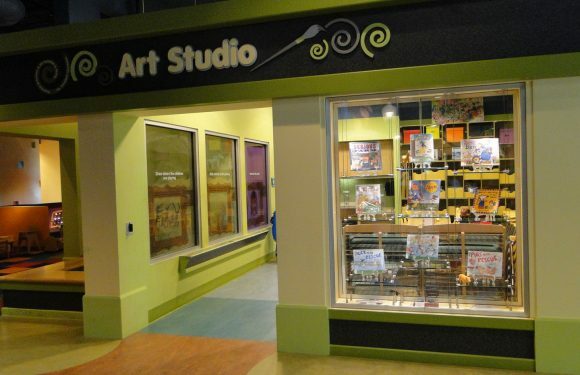 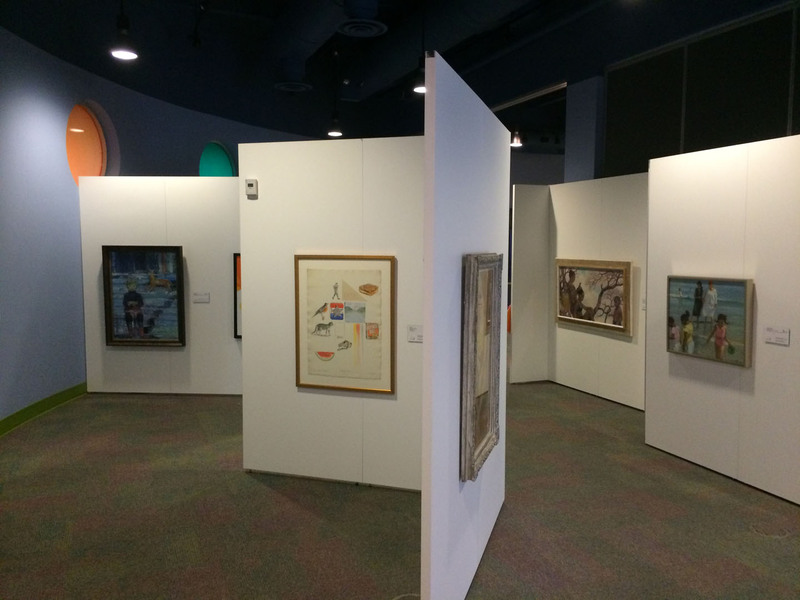 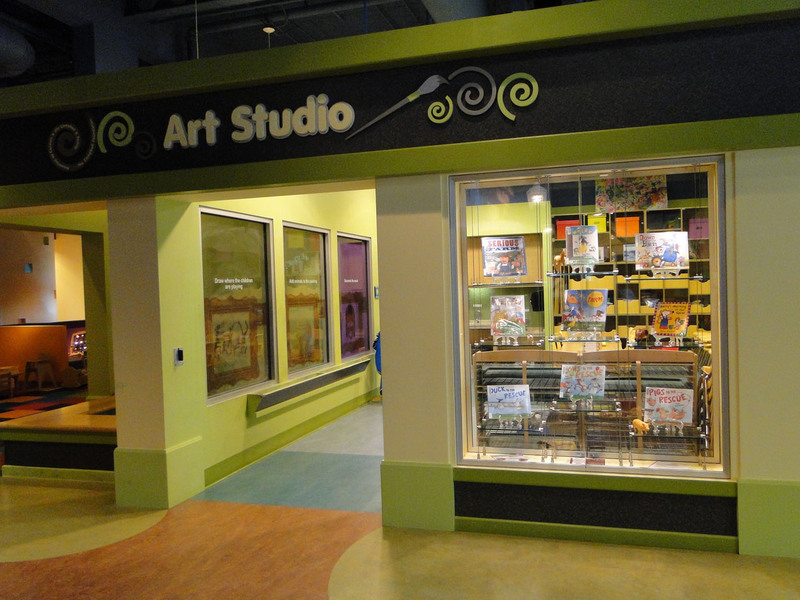 The Art Studio is an inviting, hands-on art exhibit with ever-changing projects. 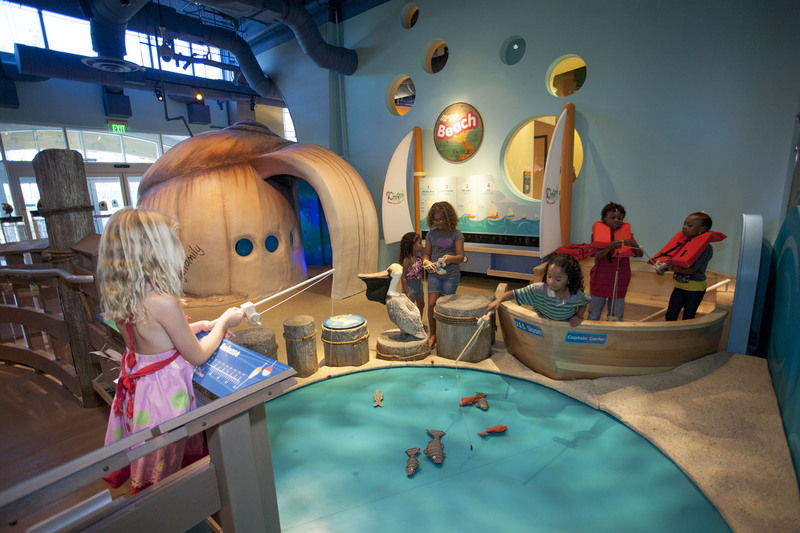 There is always something to do on a beautiful bright day at the beach. 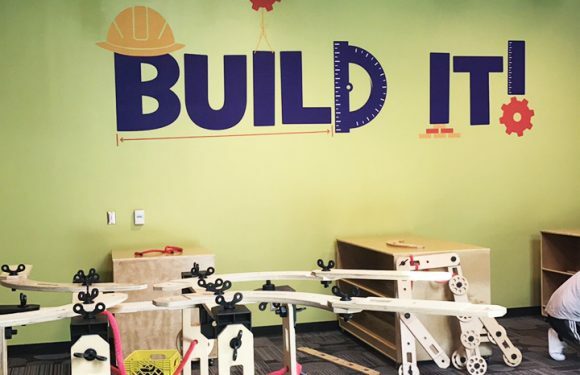 Dream up designs, build structures and find the joys of teamwork. 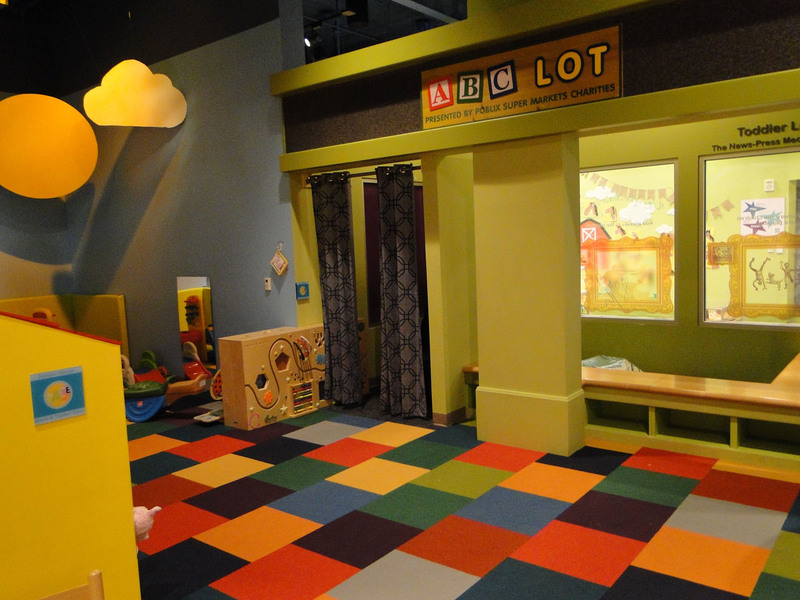 Our WGCU Curious Kids space is a one of a kind learning environment. 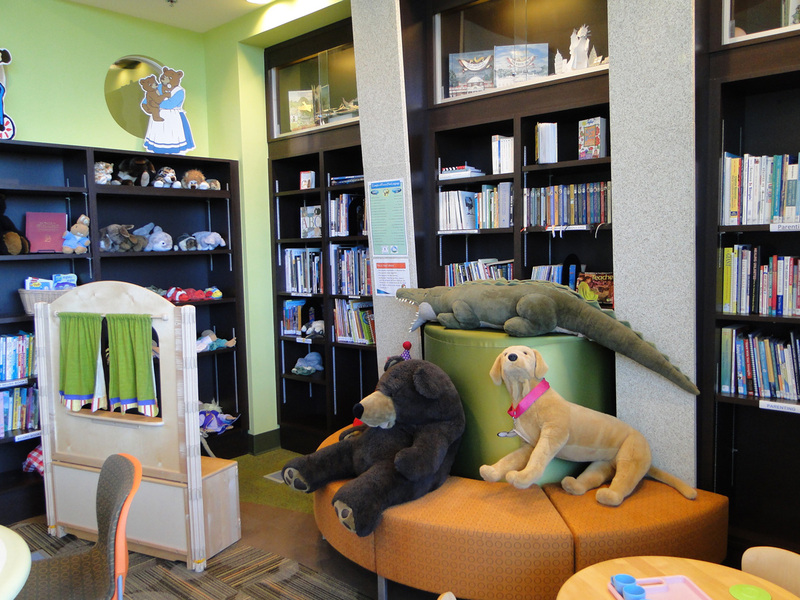 Read and play with open-ended activities in our bright and cozy library. 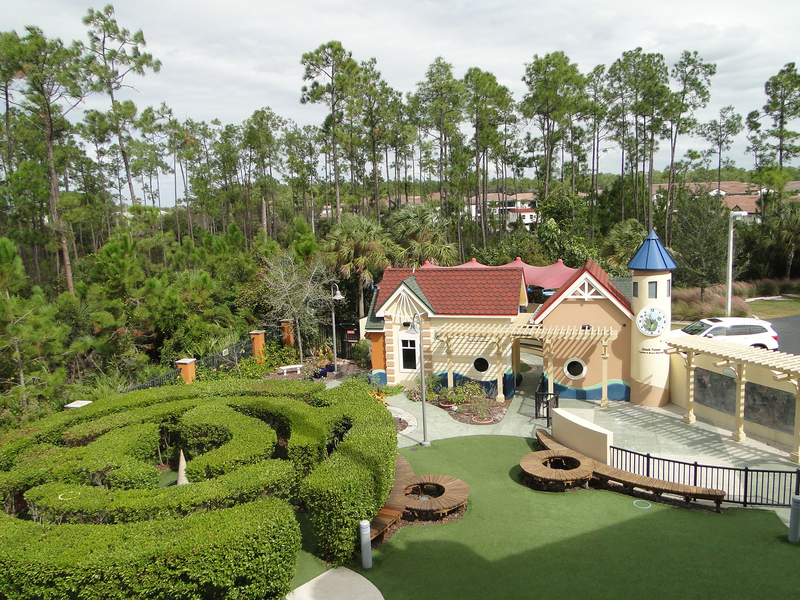 Hedge maze, shaded amphitheater, Art Abounding space or splash in our Water Play area. 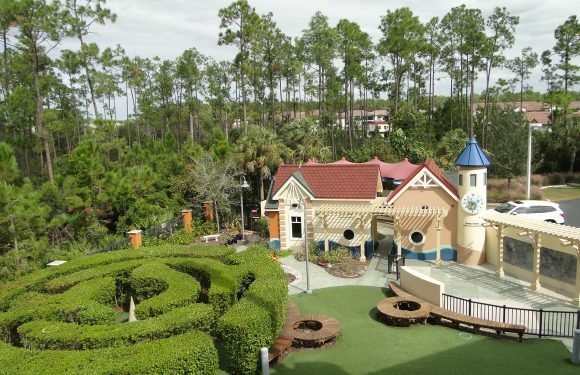 Take a trip through one of the most well known environments in Florida. 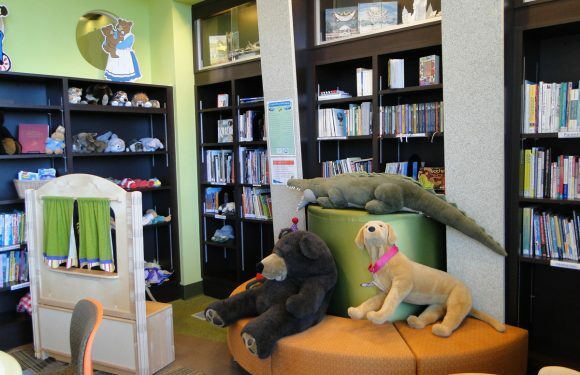 Our fine art collection will display art that has a focus on children and animals. 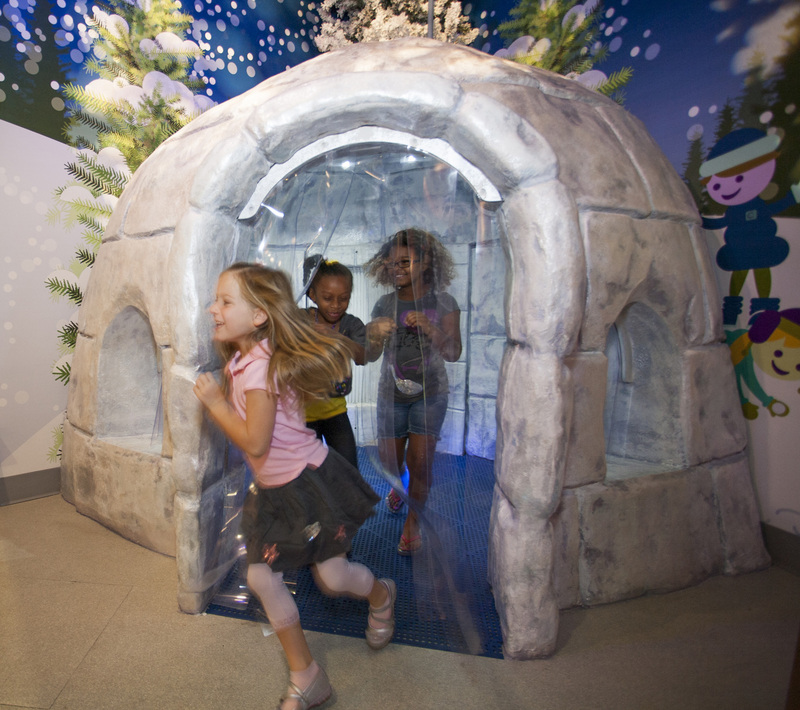 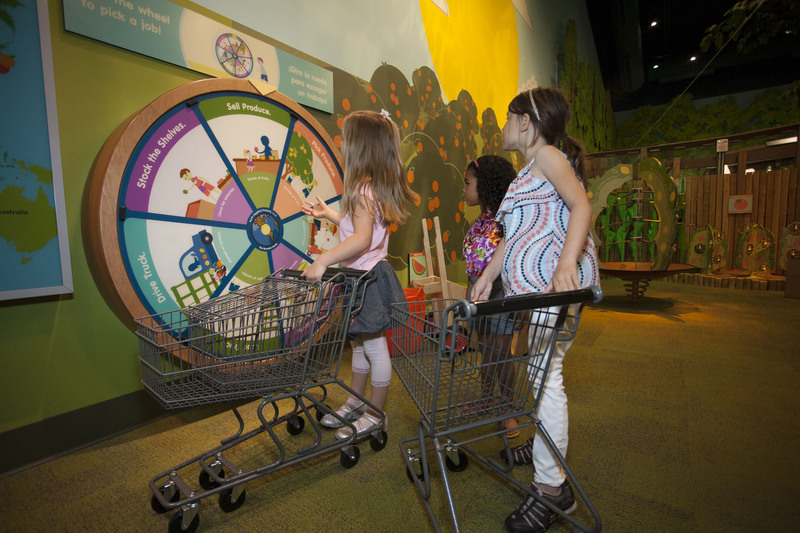 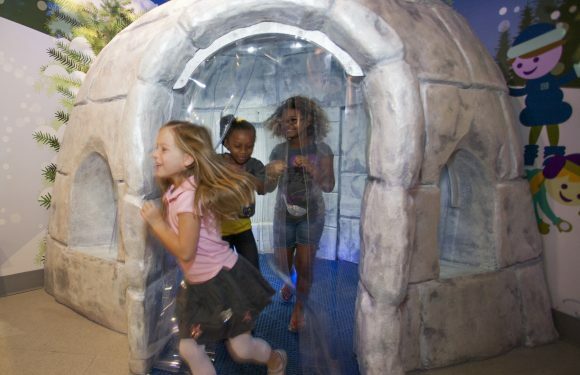 Children will experience Earth’s rhythms and season changes in this interactive exhibit! 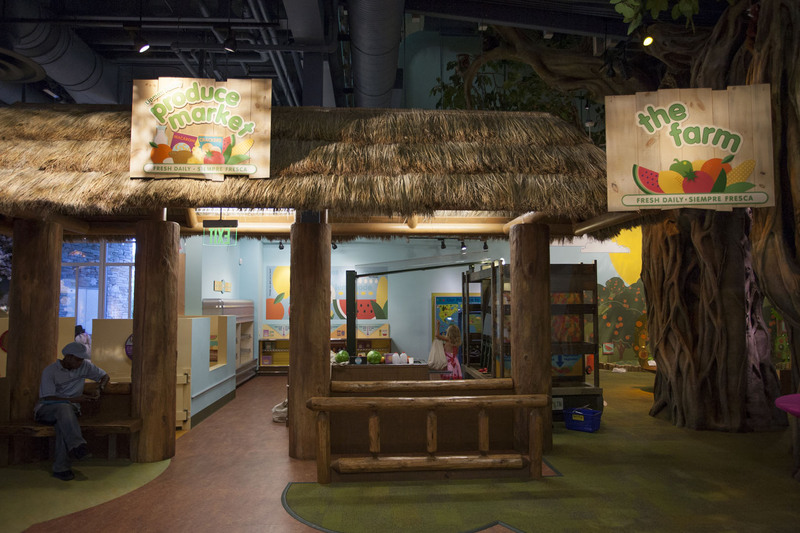 A realistic, child-size market full of the bounty of Florida as well as a number of familiar foods. 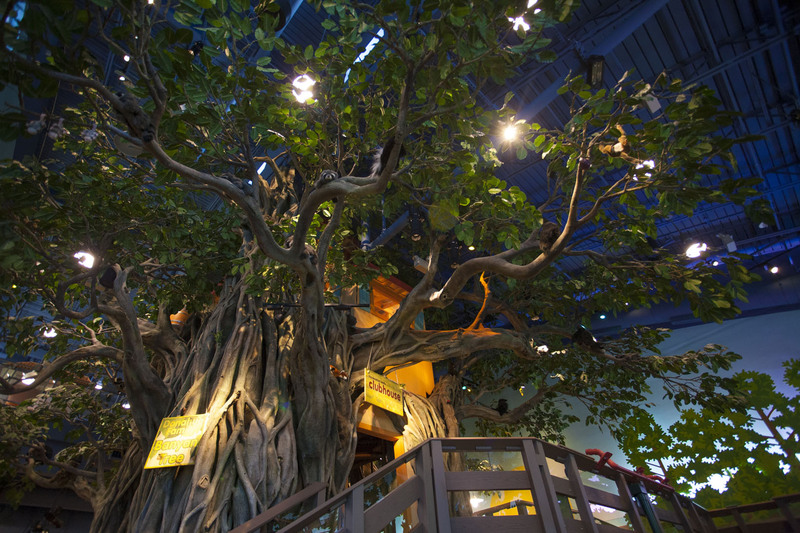 Children can crawl from level to level inside the tree to reach the top. 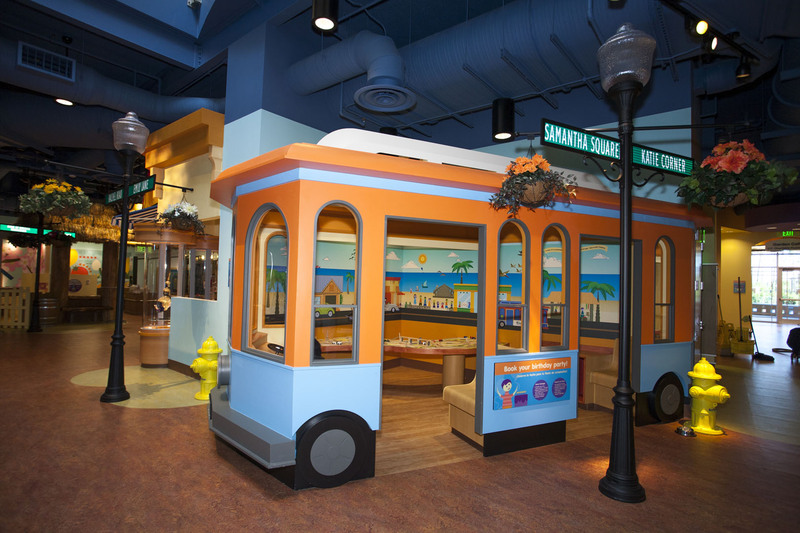 Launch into a world of exploration as you take a ride on The C’mon Trolley! Visit The Farm to learn all about Florida agriculture. 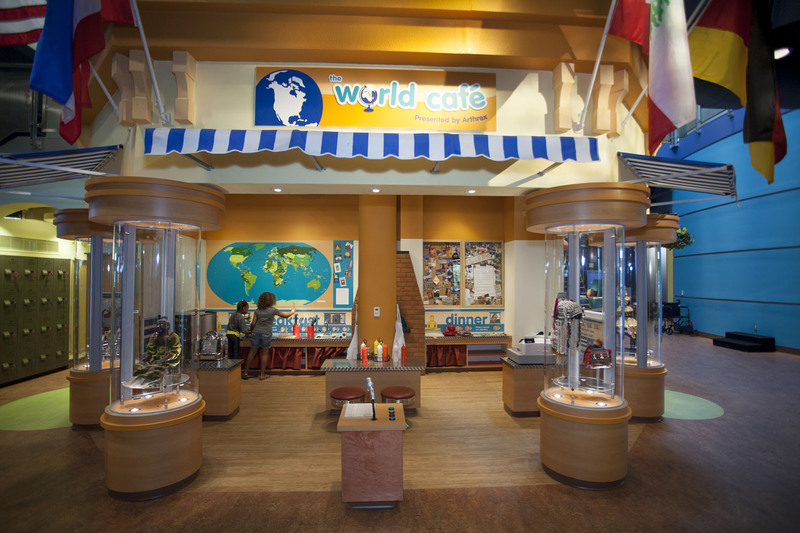 Children prepare, serve and “eat” delicacies from the country being featured. Children’s museum specialist Mary Sinker, and acclaimed exhibit designer Jack Rouse Associates, conceived each exhibit as a model of three interrelated principles: an appreciation of children’s play behavior, knowledge of how an environment can influence play and learning, and an understanding of children’s developmental milestones. 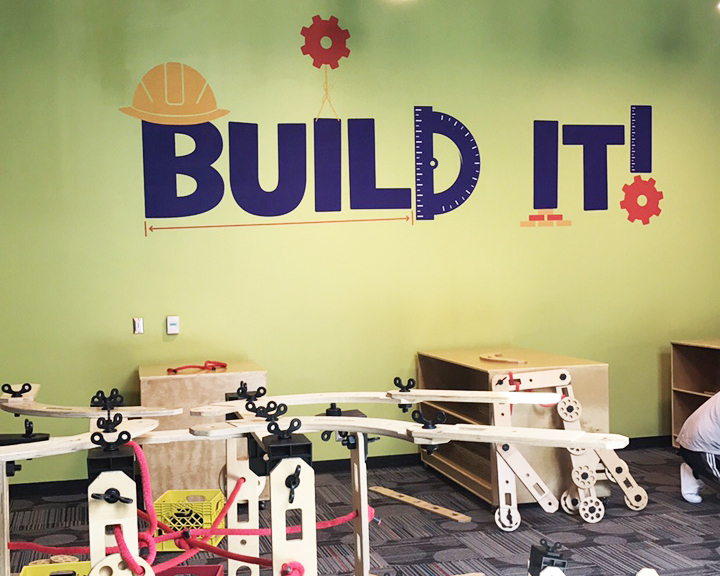 These three core beliefs enabled them to transform the learning landscape so that serious learning looks like play… for those who know how to look. 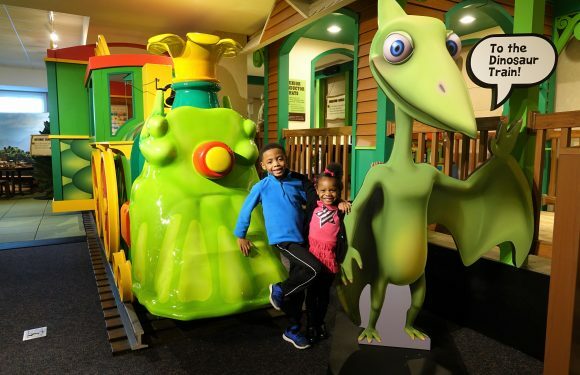 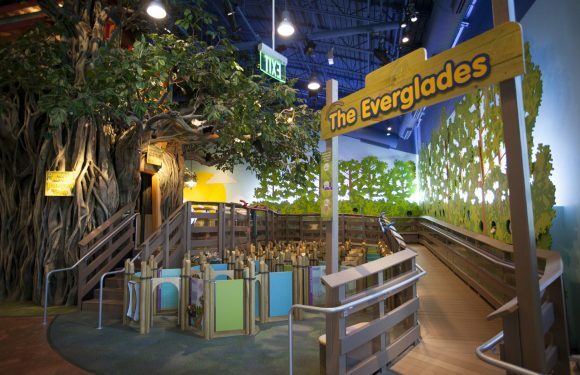 The exhibits present a well-rounded universe that is rarely experienced by children or, for that matter, the adults in their lives, from the swamps of the Everglades to outer reaches of the galaxy, from the annual change of seasons to a farm to a day at the beach. 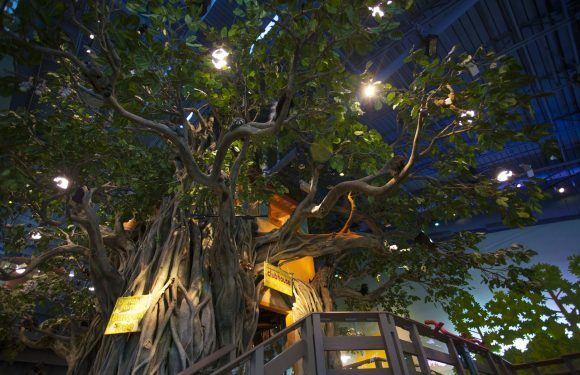 At the heart of the exhibits is The Banyan Tree, a soaring, two-story banyan tree with cubbies nestled in vertical prop roots, a lookout platform, and crawling branches that lead to the fascinating tree house at the top, inspiring children’s imagination as well as body coordination. 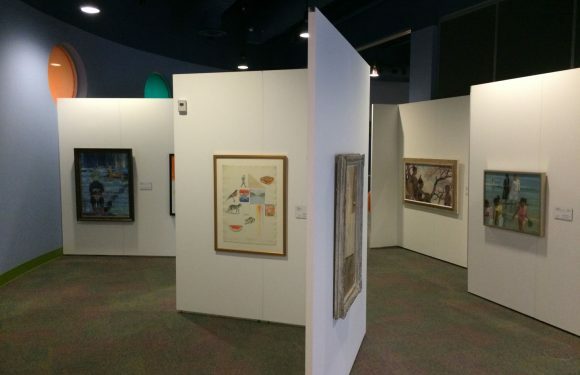 Exhibits were created to meet Florida’s Sunshine State curriculum standards, and all are accessible for individuals with developmental, hearing, physical, social/emotional and visual challenges.